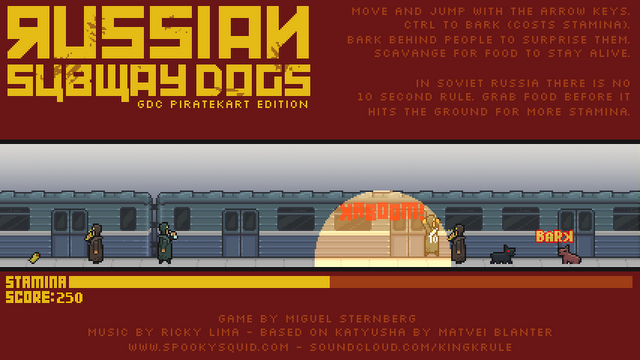 In Russian Subway Dogs, you must terrorize kindly subway travelers into dropping their food. The more food you eat, the more stamina you gain and the longer you last. The problem? You have to fight off hoards of rival dogs and avoid other travelers who drop explosive vodka bottles instead of food to do it. It’s a fun survival game that should hopefully enlighten the world to the noble plight of the subway dog.